Yes, this was Mr Toad’s Wild Ride. Our extended vacation was coming to an end. After a month on the road, visiting family driving across 2/3 of Canada and spending some time in Glacier NP and Yellowstone, we were finishing up by spending a couple of days in the Tetons. The peak season was winding down, but campgrounds near Jackson Hole, Wyoming were way too expensive so we opted to stay near the small town of Victor, Idaho. On this trip, we didn’t have a tow so our Class C would have to serve as our touring vehicle. We spent some time in Grand Teton NP and the majesty of the mountains never gets old. The craggy peaks are visible from many miles away. As we wound our way down Hwy 191 from Yellowstone, we admired the valley and the amazing vistas. The Snake River is great for recreation. Many Class C motorhomes on the road today use a workhorse 10 cylinder 6.8L Ford Triton gas engine. They are dependable and long lasting. They also sound like a pack of screaming banshees when placed under a load. Passing through Jackson Hole, I was reminded why I don’t care for vacation towns. It was your typical tourist trap, full of overpriced shops and eateries. These have their place with many folks, but we typically avoid them because our idea of a vacation is rest and relaxation with a dose of excitement. Taking a break in Grand Teton NP. The campground in Victor was located about 15 miles past the summit of the Teton Pass so I planned on a slow ascent up the hill. The grade is 10%, and the road is normally open year round unless there is an avalanche or ice. Since it was late summer, we decided to give it a go. The large flashing sign indicating that there is a 60,000 lb weight limit is mainly for commercial truckers but is an indicator of the seriousness of the drive. I remember what it was like to be behind an RV climbing a mountain and felt sorry for those behind me. Often, those behind the slow, lumbering campers get impatient and put themselves (and others) in danger by making risky maneuvers. Today, there was no room for illegal passing. The grade increased to around 6-7% and the Ford engine started working harder. The transmission downshifted and the RPMs rose. I was glad that I wasn’t towing anything up this hill and started wondering what the descent would be like. After an eternal climb, we hit the top of the roller coaster. I wouldn’t recommend this with a full load and a toad. The west side of the Teton Pass wasn’t really that bad except that I discovered going downhill is much scarier than going uphill. Using the transmission in Tow Mode and downshifting to 3rd gear was the best that I could do. It seemed like the engine in these Fords screams as much when they are braking. Oh well, I was glad that no critters darted out in front of us today. I surely wouldn’t do this road in the dark! As we crossed from Wyoming into Idaho, we started to relax and look forward to our quiet campground. The small town of Victor was inviting and definitely peaceful. It is a good basecamp for the Tetons and the Snake River. 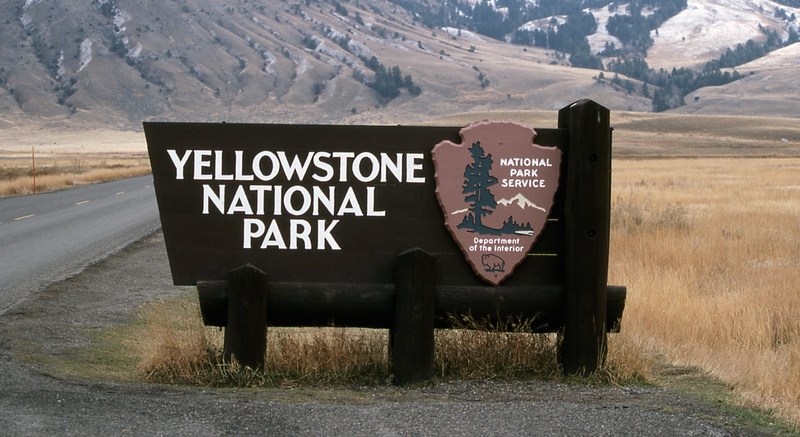 It’s located about 25 miles from the hustle and bustle of Jackson Hole, Wyoming on Hwy 22. What makes an RV resort a resort? This trip would take us to the desert town of Twentynine Palms, a dot on the map just south of the largest Marine base in the U.S. I’ve driven through this area several times without much thought, but the allure of Joshua Tree National Park brought us here. Well, that and an invitation from a friend. We have some friends that rented one of the cabins in this resort and mentioned that it was also a campground. After reading some reviews, we made the reservations and within a few weeks were driving up I-15 to the high desert. There is only one route into Twentynine Palms known as SR62, a highway that connects to I-10 going west and terminates at the Colorado River in Az to the east. The campground is located approximately one mile north of SR62 and a little over two miles from the Joshua Tree National Park Visitor Center. It is a large campground with over 168 RV sites and 27 cottages. Plenty of amenities here including a small store, clubhouse, laundry, indoor pool, jacuzzi, fitness room and activities. They offer church services on Sundays. It is pet-friendly with a dog-run on the east side of the park. There is a restriction on specific breeds, check out the campground rules on the link. There are ample pull through sites that are gravel with asphalt pads for your vehicles. Not much shade here, but the sunrise and sunsets are nice. The western section has approximately 40-50 sites that are long term residents. The park is dated in some areas, but overall very clean. The cottages are nice if you have someone visiting and very affordable. Oh look, a very retro pay phone! The best thing about the park is its proximity to Joshua Tree National Park. This area is where the Colorado and Mojave Deserts meet. The ecosystem and landscape is so different here. There are cool rock formations, amazing night skies and plenty of history in this area. If you have a 4 wheel drive vehicle, there is an abundance of off-road trails, including a handful of abandoned gold mines that are still accessible. For activities, there is hiking, rock climbing and geocaching. Amateur astronomers love this place. In summary, we would stay here again. The best time of year is late fall and winter as it gets stifling hot between May-Oct. Non-discounted daily rates are between $41-$44 (tax included) Good Sam and AAA discount is 10%. We drove into the park for an awesome sunrise. As baby boomers retire, many are hitting the road in an RV full-time. 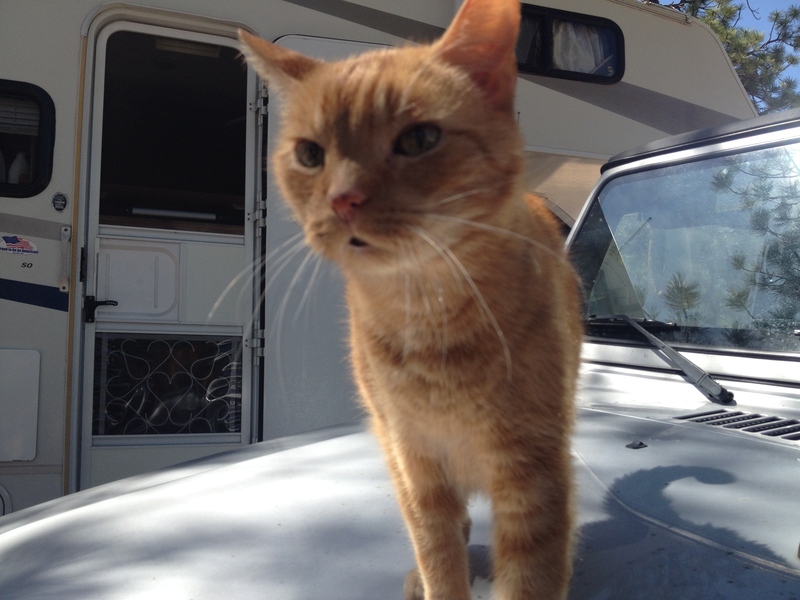 Some are jumping in feet first and living on the go with little to no RV experience. Is it possible to afford this nomadic lifestyle on a fixed income? For many, the answer is yes! If this is your dream, my advice is to do your homework. There are so many examples of seniors that choose the full-time RV life. Here are some ideas. Choose an RV that you can afford and meets your needs. If you need a Class A diesel pusher with a washer/dryer then go for it. If it is just you with a pickup and travel trailer, then imagine the places that you can go. Research used RV websites like rvtrader.com, rvt.com and narrow your search criteria. Even your local Craigslist.com has some good deals. You will find that some makes/models are more dependable with less maintenance issues. Able to finance that dream-RV? It’s still possible to claim the interest on the RV loan if it is self-contained and your primary or secondary residence. Check with a tax advisor for the latest info on deductions. Many first-time RV’ers make the mistake of trying to see too much, too fast. This can be expensive, especially the fuel costs. Slow down, enjoy the experience. Scope out some places you have always wanted to see, find a local campground and stay awhile. 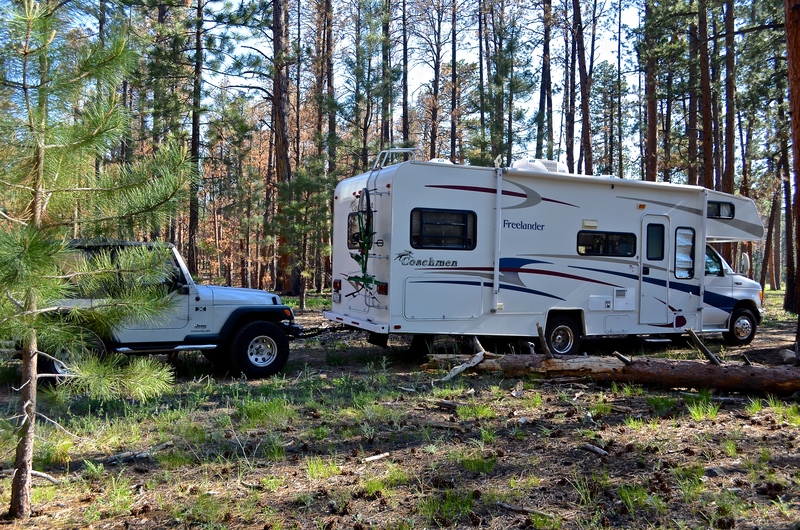 It is not uncommon to find campgrounds for less than $600 per month with full hookups. There is so much to see in America. With a little planning, you can economize and still have fun. Ahh, you are wondering how much does it cost to RV full-time? It depends on your lifestyle. Generally, monthly costs for two people can range from $1,000 to $4,000. This assumes your RV is paid for. Fuel and campgrounds make up the main two costs. You have direct control over that. Stay in a resort and your costs will be higher. If you boondock or dry camp on BLM land, you can really keep it cheap. To save money on camping, mix it up a bit. As a senior, you are eligible for a National Park Pass for $10. This can save you 50% on camping fees at many national parks and Army Corps of Engineer (COE) campgrounds. The Bureau of Land Management (BLM) has millions of acres of land where camping is free or for a small fee you can stay for months. Often, there are rules like having to move every 14 days, but you will need to dump your tanks and restock anyhow. Longer stays in campgrounds with full hookups saves money. For example, a $40 daily rate could only cost $600 for the monthly rate. Consider memberships like Passport America or Good Sams for significant discounts at participating campgrounds. Use technology like solar panels to extend your stay when dry camping. Solar can recharge your onboard battery banks. Energy efficient heaters like catalytic propane models use a fraction of propane when compared to the RV furnace. Learn to economize. RV’ers who dry camp understand how to conserve water and propane. They produce less waste for landfills and believe it or not, have a smaller carbon footprint than most other travelers. From the mountains – to the desert – to the beach. It’s yours. Want to earn some extra money? Try work camping. https://www.workamper.com/ is a nice resource for those wanting seasonal or part-time work. Anything from being a campground host to working retail. How about giving back? Being a volunteer is one of the most rewarding things that you can do in retirement. Many RV retirees give their time to a variety of faith-based or non-faith-based organizations. https://www.volunteermatch.org/ is a good place to start. Healthcare is one of the greatest concerns and potentially limiting factors for those choosing this life. There are so many variables with healthcare, but I can tell you that there is a wealth of information on the web. Obviously, having a healthy lifestyle will enable you to travel freely. This is one example of a company that provides RV healthcare insurance: https://www.rverinsurance.com/ (I do not endorse, nor have I used this company) I recommend you invest some time in understanding your healthcare options while on the road. Many full-timers have written extensively on this topic and it changes yearly. Google RV healthcare. Unhitch and see the most awesome sights. Tunnel View, Yosemite NP. To socialize or not? RV’ers are a hospitable group. If you are sociable, you will find many that enjoy the company around the campfire. If you prefer solitude, you can surround yourself with acres of open land out west. Have a back out plan. Don’t invest everything in the RV life. Set aside a small amount in case you have to change plans. If your back out plan is to retire in an apartment, then that is ok. If you own a piece of property, consider holding on to it for awhile in case this life is not for you. I believe it is the freedom that you have with the RV lifestyle that makes it the choice for some. It’s not for everyone, which is good because there are millions of baby-boomers. Bottom line, you don’t have to be rich to do this in retirement. A little research and planning goes a long way. For more ideas, check out the Facebook group “Living the RV Dream” I’ve learned so much from those that have gone before. See you on the road, and God bless America! The author: John is a part-time RV’er nearing retirement. He and his wife of 34 years travel the country while on vacation. Avid hikers, they enjoy the freedoms that they have in America and believe this is one of the most beautiful countries in the world. They encourage others to get out and explore! Ask any RV’er that has traveled through the midwest about the most challenging driving condition and they will usually mention the wind. Whether you are pulling a travel trailer, 5th wheel or driving a motorhome, high winds can create a hazardous situation. Most of us have seen the guy passing us at 70mph with a swaying trailer. It’s a scary sight and puts us all in danger. There are some things that you can do to deal with the wind. While this post is not all inclusive, it will address the most common approaches to stabilizing your RV. Keep your speed down to a level where you can accelerate if needed. While it is not intuitive, briefly accelerating can lessen the effect that a crosswind or wind shear has on your rig. Similar to a blown tire situation, you can counter the wind by increasing your forward momentum. This approach applies more to motorhomes. If you have a motorhome, there are several types of equipment that may help. Steering stabilizers, anti-sway devices on the front and rear can improve driveability and lessen the feeling that you are driving a yacht on the high seas. Some manufacturers install steering stabilizers, but the after-market devices tend to be more robust. Class C motorhomes tend to drive like box trucks, so they could really benefit from these products. Shocks and airbags. Depending on the manufacturer, the stock shock absorbers are wimpy. It’s recommended to have high-quality shocks like Bilstein, Koni or RoadKing. Good shocks will drastically improve the ride and lessen the residual swaying from the wind or passing vehicles. Adjustable airbags can also reduce the bouncing or swaying effect. These products are available as aftermarket items and can be installed by RV or truck shops. Travel Trailers: Probably the most sensitive to wind, they are also the most common type of RV in accidents involving loss of control. Due to the dynamics of weight distribution and towing vehicles that are not properly equipped, travel trailers can benefit from hardware like anti-sway, weight distribution hitches and electric trailer brakes. Proper loading will improve handling and safety. Trailers with too much of the load in the rear are more unstable. Electric trailer brakes are your best way to deal with a wind shear situation. If swaying occurs, reduce speed, avoid using your vehicle brakes and manually activate the trailer brakes to regain control. 5th Wheels: Benefit from a more stable configuration than TT’s, but weight distribution is critical. 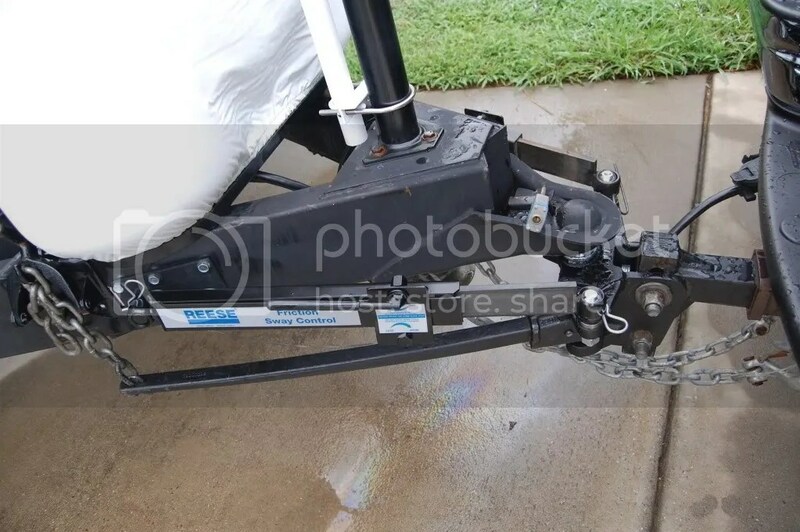 The trailer must be level to avoid uneven weight on the trailer axles. The towing vehicle should have a robust suspension with stabilizers, adjustable shocks or air bags. Once parked, there are stabilizer solutions for the front jacks. Weather Conditions: Check the weather in the area that you are traveling. Many of the interstate highways are wide open. In the midwest and west, there are often high wind warnings. Mountain passes can also be very gusty. In some locations, they actually will close the highway for high wind or high profile vehicles. You will also use more fuel in windy conditions. You can go online to websites like weather.com or obtain apps for smartphones, IPADs or tablets. Apps like Weatherbug, Weather Channel, WunderMap or WeatherEye HD have received good reviews. It’s not worth driving in high winds, stay put and enjoy another day. DISCLAIMER: This article is for informational purposes only and is not professional advice. Like most things in RV’ing, a good dose of common sense and research goes a long way. The best advice is to know your rig, recognize your limits and be aware of your environment. Realizing you need anti-sway bars while doing 65 on the interstate in the wide-open plains with a crosswind is not good. Slow down, be safe and enjoy living the dream! It was quiet as the sun descended, its rays filtering through the many pines. We settled into our makeshift campground and enjoyed the solitude. The woodpecker family chattered and seemingly fussed at each other as they flew from tree to tree. This is why I love boondocking in a motorhome. Solitude and all the conveniences of our sticks and bricks home. Located near Hwy 89A, we had just spent part of the day at the North Rim of the Grand Canyon. This part of the park is less crowded than the South Rim, but it was still peak season and there were many people. We did what most tourists do when at the Grand Canyon – take pictures. All the campgrounds at or near the park are full and usually not available unless you’ve made reservations. I wanted to boondock or “dispersed camping” as the Park Service calls it. This type of camping is widespread in the western states due to the abundance of Bureau of Land Management (BLM) and national forests. It’s always good to check ahead of time with a ranger or Park Service employee. Often it is free, but sometimes you have to pay a small fee for longer stays. There are certainly areas available on Hwy 67 leading to the north rim, but we were towing a Jeep and I didn’t want to get into a spot where I couldn’t turn around. We passed the Kaibab Plateau Visitor Center and headed south on 89A. This was on our route to northern New Mexico. Lots of Forest Service roads up here and it only took a few minutes to find a site. You have to use some common sense when checking out boondocking sites in an RV. Try to avoid the forest where you have an abundance of “widow-makers”, those dead trees that can fall on you during the night. Check the drainage potential in case of a hard rain. Lastly, I usually face my rig where I can make a quick exit if needed. Solo boondocking can be a bit disconcerting if you’ve never done it before. Statistics show that it is a safe adventure with very few incidents. Many RV’ers that camp in the boonies have the ability to protect themselves. Actually, I feel safer in the backwoods than I do in most public campgrounds. In the Kaibab National Forest, the morning was magical. We often like to get up around sunrise and go outside with our coffee. The walk down the abandoned service road was peaceful. The only sounds were the birds. To help find those free campsites, I would recommend www.freecampsites.net or http://www.boondocking.org/. I can’t guarantee the accuracy of these websites, but they do have good reviews. 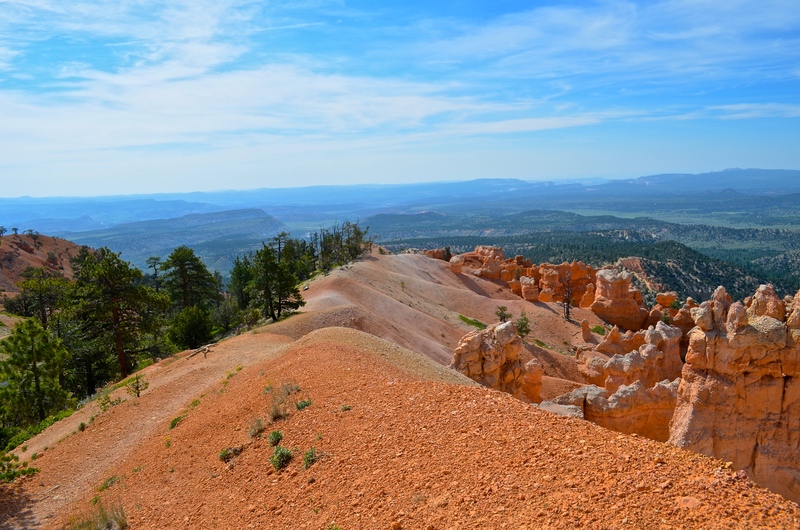 Bryce Canyon was on our list, so a detour was in order for our east-bound trip. Passing through Vegas, the 105-degree temps concerned us a wee bit but I knew that the 8,000′ elevation at our destination would be much cooler. Continuing up I-15, we actually saw some snow-capped peaks to the north before we cut over on Utah SR20. From here on in, the drive was scenic and hilly. The RV’s Ford V-10 revved up as we climbed Hwy 89. Some snow in the distance. As we made the last turn on Hwy 12 it leveled out and really opened up. The roads are in decent shape and are very busy during the summer. We stayed at Ruby’s Inn RV Park & Campground, http://www.brycecanyoncampgrounds.com/ a large but well managed place located less than a mile from the entrance to Bryce Canyon NP. It was a busy park, but this was peak season. The sites are packed in fairly tight in the area we were located, but I noticed other areas had more open space. If you are into ATVs, then this is the place. Lots of trails to ride on. 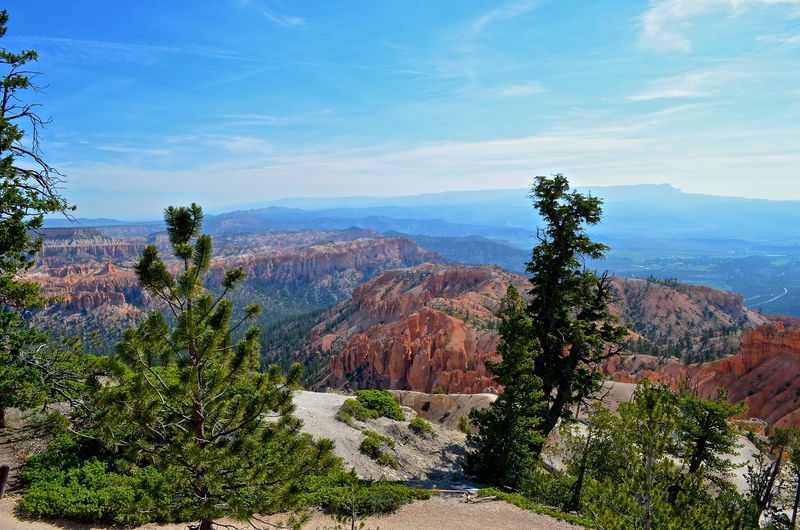 Hikers will love Bryce, so many open trails and the views are stellar. At this altitude, it is much cooler than below, but the late June temps were still in the 80’s. Between that and the altitude, our hike was challenging. We’ve done a lot of hiking at altitude, but the heat just saps your energy. Many trails descend from the trailhead, so the difficult part is hiking out. Take plenty of water (32oz for each hour of hiking) and you will be ok. Bring a hat and wear light clothing. This arch got a little man-made help. The colors in Utah are beautiful. There are so many parks worth exploring in this state. Our 14 yr old tabby enjoys camping. We entered Bryce from I-15, about 60 miles north of St. George. 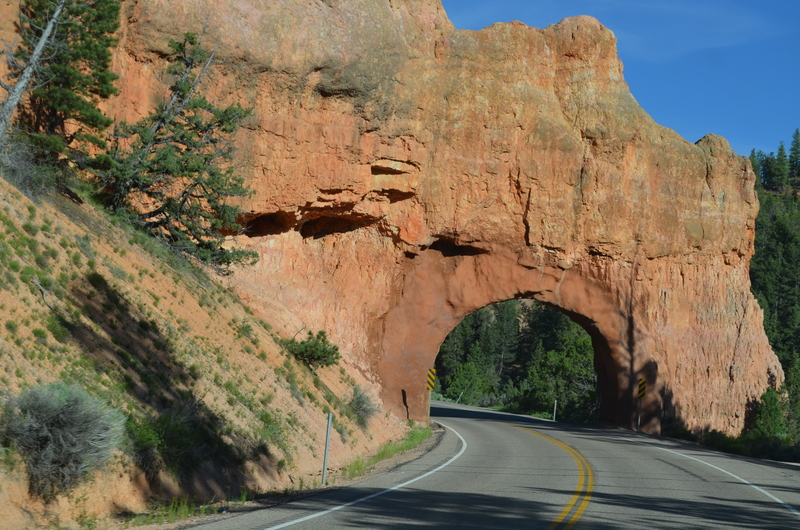 Hwy 20E – 89S – 12E takes you right into Bryce Canyon. You can cut across Dixie National Forest on Hwy 14, but I heard the grades were steeper. You will pass through the town of Panguitch where you can fuel up and get groceries. There are supplies/fuel at the Ruby’s Inn complex, but prices are higher. Our stay was for two days, but recommend 5-7 days in this area. 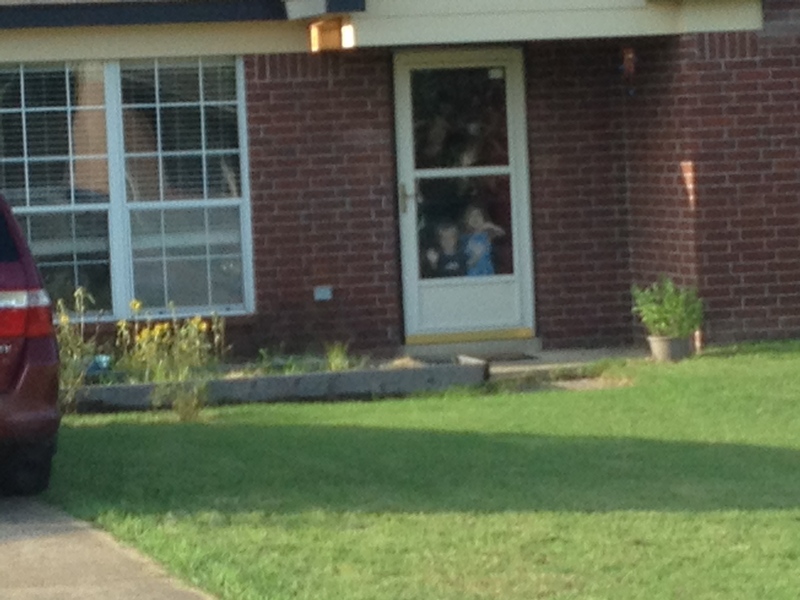 Late summer or early fall are less crowded when the kiddos are back in school. Next leg of our trip takes us into northern Az. where we will check out the North Rim of the Grand Canyon and do some boondocking. One of the reasons we purchased our RV was to visit family. We basically pull into their driveway, plug-in and enjoy our visit. We don’t need to use their bathroom, can cook our own meals if we wish and have a place to retreat if needed. Some call this “moochdocking” which is a play on the camping term of “boondocking”. While most RVs are self-contained with fresh water, waste tanks and power, they have limited endurance. You either use all your water, fill up your waste tanks or exhaust your onboard power. Our son-in-law is a resourceful young man and had a 30 amp RV plug installed in his garage. Previously, we used a 15 amp outlet but kept tripping the house circuit breaker. He also located the sewage clean-out port in the front yard. Now, we can dump our waste tanks into their city sewage system. With an outdoor spigot, we were set for an indefinite stay. Well, I only had a few weeks vacation so there was a limit. Making our way from SoCal, the forecast called for 105+ degree temps from the Mojave to St. George, Utah. I know how hard the extreme heat is on the RV, especially when towing so I was a bit concerned. I was, however looking forward to cheaper fuel prices as we traveled east. 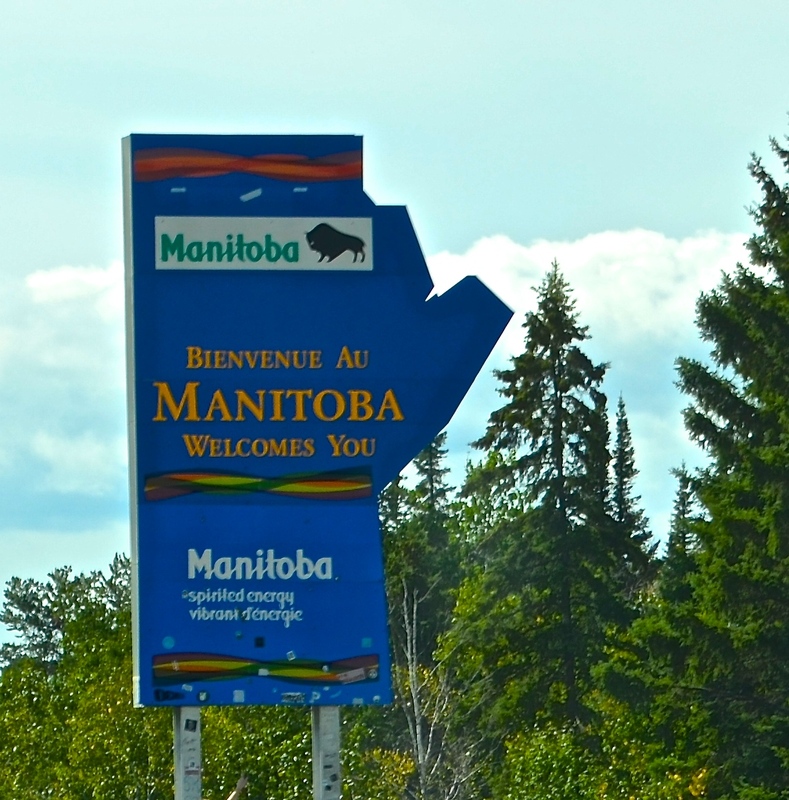 When we visit our family back east, we try to include a detour to check out new locations. 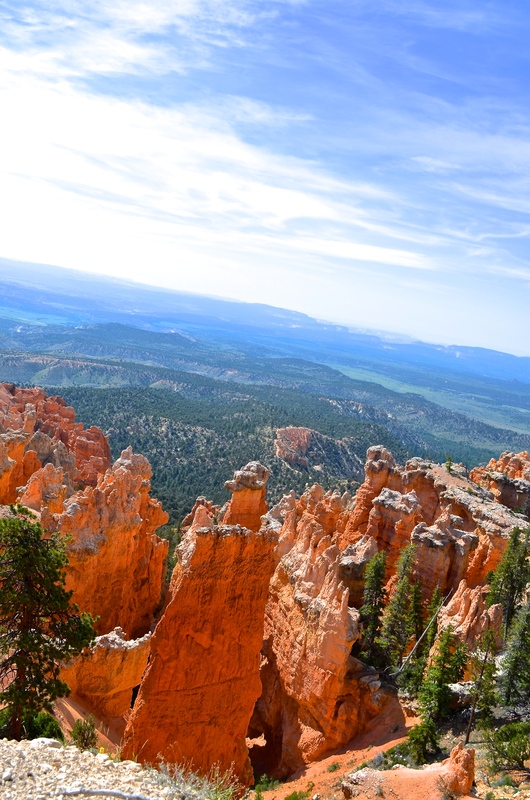 This trip, we decided to stop by Bryce Canyon, Utah for a couple of days. I believe Utah is one of the most beautiful states in the union. The colors and the landscape are unlike any other state. Bryce Canyon, Utah. On the Rim Trail. 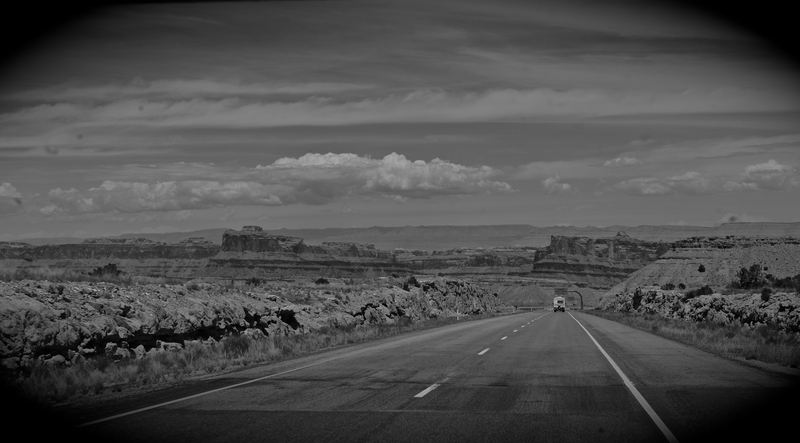 The drive to Bryce Canyon was uneventful and southern Utah is an amazing place. I’ll write a separate blog on our visit there. As we left Utah, we had a rough itinerary to camp in the Kaibab National Forest in northern Arizona. I did call one campground, but they only offered dry camping and you couldn’t run the generator. We visited the North Rim of the Grand Canyon and headed back north starting our search for a forest service road. Dispersed camping is allowed in many areas of our country, especially the west. I checked with a U.S. Forest Service employee who gave me some locations to camp. I-15 north into Utah was the last interstate we traveled on. When we go full-time RVing, it will be my goal to avoid the freeway. The real gems are located on America’s byways. Get off the beaten path as they say. Northern Arizona and New Mexico has amazing vistas. 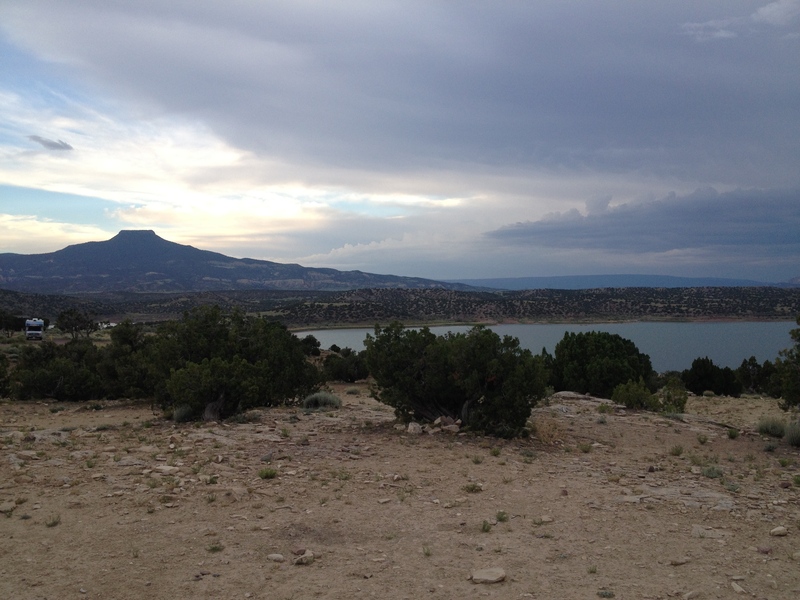 After camping in Kaibab National Forest, we made reservations at an Army Corps of Engineers campground in northern New Mexico named Abiquiu. I was sad because we only had one night. Back on the interstate east of Albuquerque, I had to take Bugs Bunny’s advice. If you remember that cartoon then you are as old as I am. 🙂 We tried to avoid overnighting near tornado alley in OK City, but our stay Rockwell RV Park was quiet. It is a good park for the night. Ahh, the reason for our road trip. We use this tire pressure monitoring system for our RV. RV Flow-Through 6 Tire Sensor Tire Pressure Monitoring System (TPMS) It has served us well. 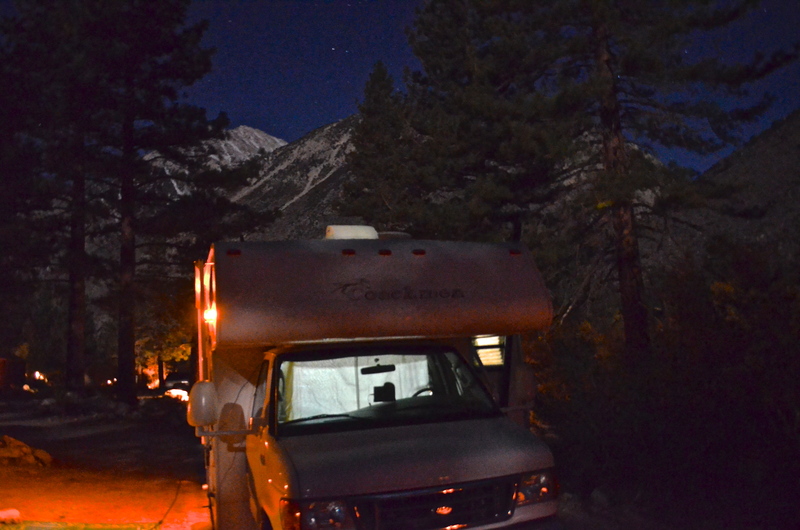 RV Campground Review – Glacier Lodge – Big Pine, Ca. If you love the mountains and enjoy hiking and/or fishing, I have a recommendation for a campground In the eastern Sierras. Located about 10 miles from Hwy 395, it is located near the town of Big Pine. The entire corridor of this highway is full of history and has some of the best boondocking to be found. You will pass several US Forest Service campgrounds including Big Pine Creek. Glacier Lodge campground is private with about 10 sites. Only four of the sites have full hookups, six have water and electric. The electric is provided by the campground’s own small hydro plant, so they ask that you not use high amperage devices like microwaves, air conditioners and the like. I believe the breakers are only 15 amps. So, while it’s not dry camping, it’s not far from it. There is a pond on site, normally stocked with trout, or you can try your luck in Big Pine Creek. Many will hike a few miles up the trail to one of six glacier fed lakes. 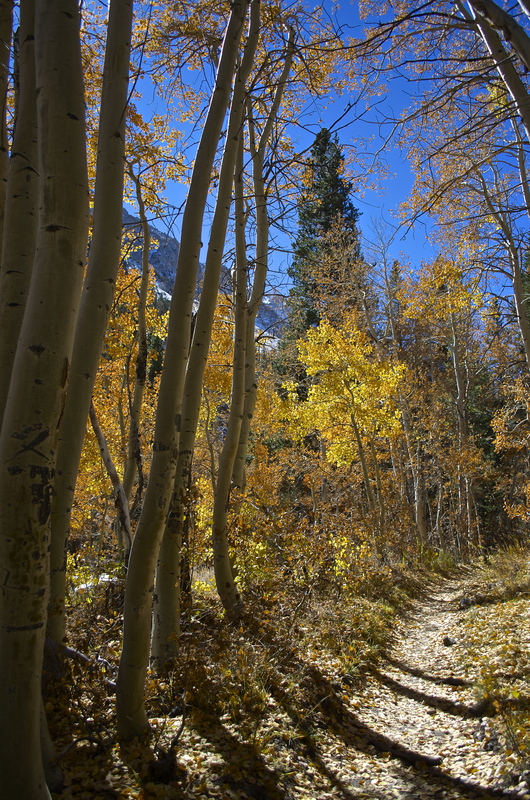 The scenery in this area will take your breath away, especially in the fall when the aspens are changing colors. 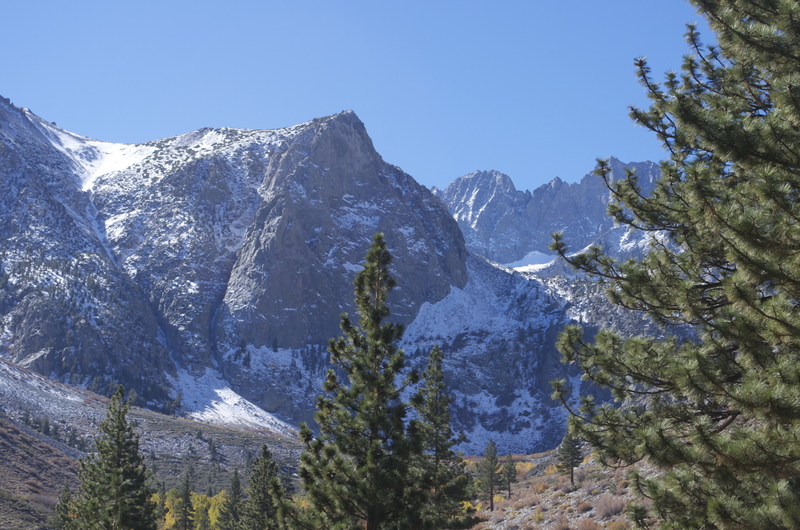 Two weeks earlier, an early season snow dusted the Palisade Glacier and campground. The campground website is here: http://www.jewelofthesierra.com/rv.htm They take initial reservations by email glacierlodge395@aol.com, but it is best to call. 760-938-2837. It is open weather permitting from Apr-Nov. 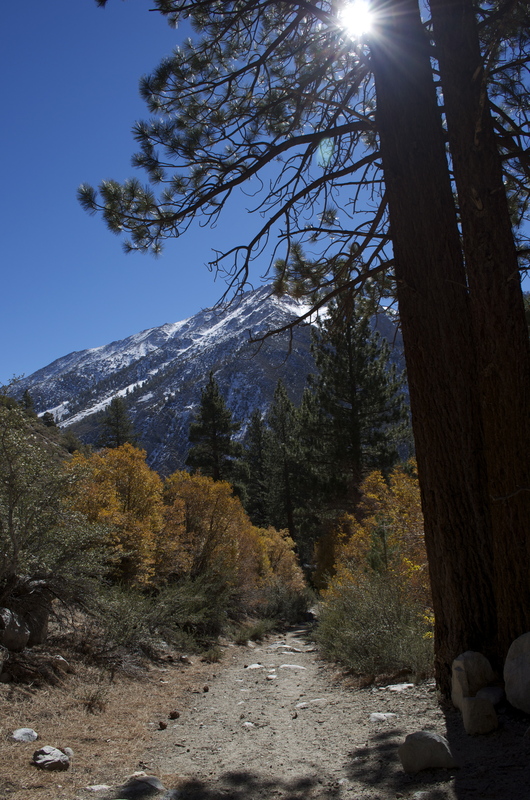 There are several USFS campgrounds nearby including Big Pine Creek, Upper Sage Flat, and Lower Sage Flat. You can reserve those sites here: http://www.reserveamerica.com/ These campgrounds are a few miles from Glacier Lodge site but have awesome dry camping areas as well. Directions to Glacier Lodge Campground: When heading north on Ca. Hwy 395, you will enter the town of Big Pine. Take a left on Crocker Street and drive until the road ends. 🙂 Somewhere along the way, the road changes names to Glacier Lodge Road. The drive up is interesting as the shoulder drops off quickly without guard rails. 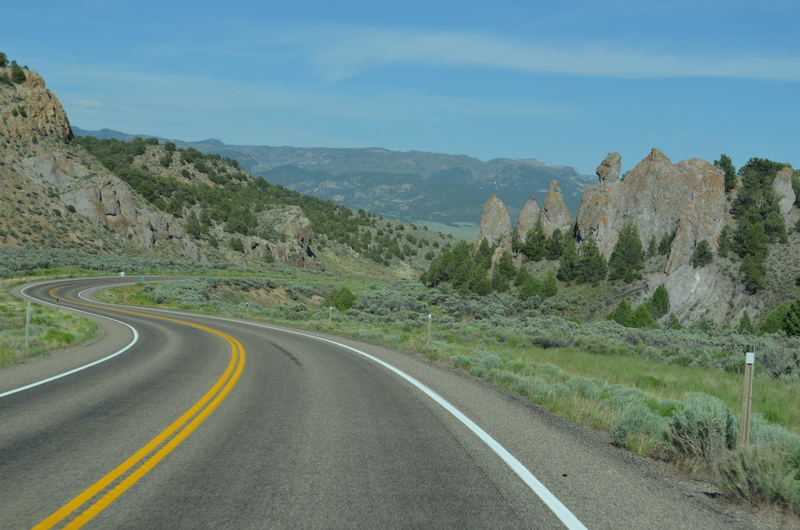 The road is fairly well maintained with grades of 6-7%. The camp can accommodate most rigs under 35 feet, but make sure you check before reserving. Some sites would be very tight for anything larger than 32 feet. It is advertised pet-friendly but charges $15 per pet which is a bit pricey. As long as your cats stay indoors, no fee. Dogs must be on leash in the campground but are allowed off leash in the surrounding area. Due to the trees, satellite reception is sketchy unless you have a portable one with a 50 ft. cord. The electricity was ok during our stay, but a surge protector is highly recommended. Due to the remoteness, this is not a campground with many amenities. There is no telephone, TV or pool. There is however an amazing fast flowing alpine creek nearby. Each site at least has electric and water. There is a restroom with showers, a small general store with basic supplies and limited groceries. They also sell some hot food during each meal time. The nightly fee is $35 per RV, $25 per tent. Holidays – $50. I would stay here again, but the USFS campgrounds up the road look nice and run $22/night or $154/wk. Baby Boomers unite! There are now over 76 million baby boomers in the U.S. Aren’t you glad they all aren’t into RV’ing? Baby boomers are defined as being born between 1946-1964 and make up the second largest demographic in the U.S. According to the website seniorliving.com a Boomer turns 50 every seven seconds in America. The 2011 census in Canada, revealed they are the largest generation group. Canadian Baby Boomers also make up a large part of seasonal RVers in the U.S.
What is it about this generation that loves RVs? One thing is for sure, those of us born during this time enjoy the freedom that an RV brings. Within this lifestyle, it can run the gambit from luxury parks to boondocking on BLM land. 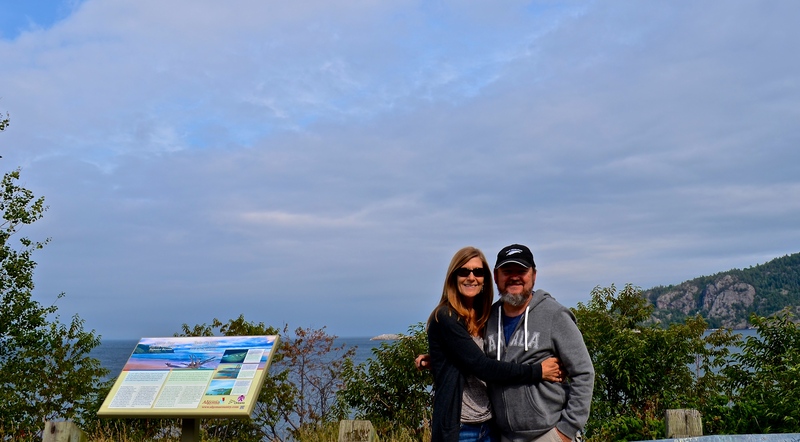 I’ve been to a “few” RV parks since we started part-time, and there are still places that you can go if you want to get away from it all. For the more sociable, there are many year-round resorts that provide an abundance of activities including tennis, golf and health spas. A high concentration of these sites is located in southern Arizona and Florida. Visit Canada at least once. They are great neighbors. Where do full-time Boomers hang out? Statistics shows that most choose campgrounds with full hookups. State and national parks follow in popularity, most with dry camping sites. With over 16,000 campgrounds to choose from, every state in the union has something to offer. Many people choose a stay-cation and camp close to home. A summer stay in Kitchener-Waterloo, Ontario, Canada revealed just that. Most campers we spoke to lived within 30 minutes of the campground. With so many “old timers” on the road, can you still get away? Heck yeah, it’s a matter of finding the right place at the right time. Avoid the popular tourist spots in the summer and on holiday weekends. We enjoyed our visit to Glacier and Yellowstone at the end of the summer season. Most families were heading home to put their kids in school. The end of the camping season (late Aug-Sep) is often the most rewarding and the fall colors are amazing. In the mountains, many roads are not plowed until mid-May, but it leaves a couple of weeks before school gets out. RVers get to see our beautiful country. Eastern Sierras. 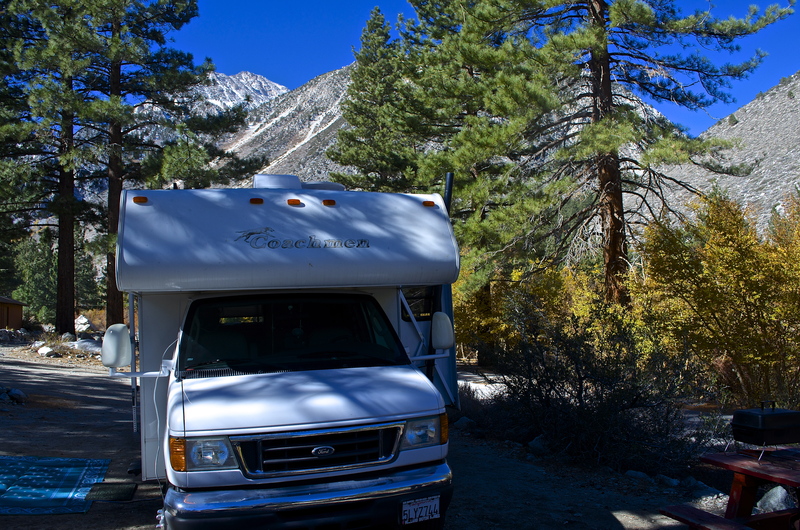 Some full-time Boomers love boondocking. The term is used to describe dry camping on Bureau of Land Management (BLM) or other public lands for free or with a minimal fee. Many prefer the solitude and escape from the crowds. Still young enough to enjoy life. – Healthcare. Review your plans and make sure they are portable. Google “health care for full-time RVers”. Use a mail order service or pick nationwide pharmacies for prescriptions. – The urge to see it all in the first year or two. Take your time, kick your feet up and stay awhile. – Finances. Many are on a fixed income, but it doesn’t mean you can’t do this. Some supplement this lifestyle by workamping. You may earn a free site and a small income. Do your research, set up a budget and have an escape plan. You may not be able to RV forever, so find a soft place to land one day. The baby-boomer generation has a lot to offer other RVers. We have many life experiences that can make for great campfire stories. Have you ever seen an RV fire or the result of one? They are fast and devastating. Often, a fire in a trailer or motorhome results in a total loss. 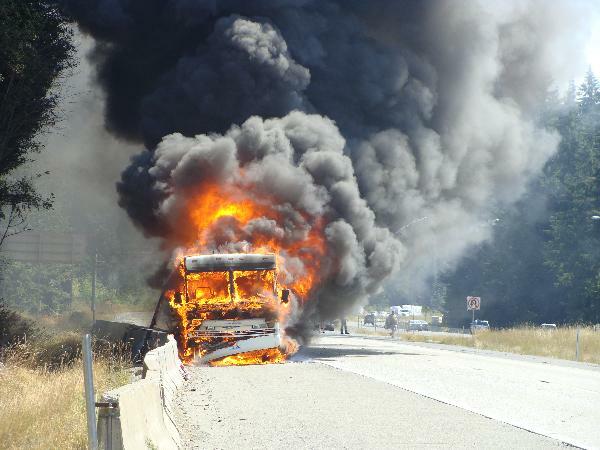 What are the most common causes of RV fires and what can you do to prevent them? – Refrigerator fires. Often caused with older or malfunctioning propane systems. Is more common in older RV absorption refrigerators. Very difficult to extinguish unless detected early. – Propane leaks. It has been said that fires caused directly by propane leaks amount to less than 1% of RV fires. The open flame in your appliances like a water heater, refrigerator, stove are another story. Some people travel with propane on (we do) but some feel safer with it off. If you do shut it off, don’t forget to shut off the appliances with electric igniters. Some ferries and tunnels require propane to be shut off. – Many RV fires are caused by improperly maintained equipment. Furnaces, water heaters, stoves, and refrigerators all can use propane. It’s best to have them checked for leaks by qualified personnel before each camping season or every other year if you full-time. When refueling propane, shut off your gas burning appliances. In most places, they will not refuel unless the main propane shut off is closed and everyone exits the RV. Clean or have the systems professionally cleaned, especially the refrigerators. 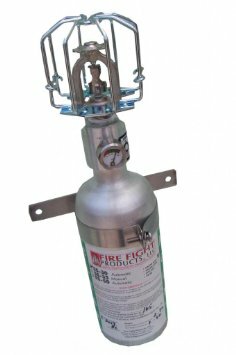 A type of automatic extinguisher used in refrigerator compartments. – Propane, carbon monoxide, and smoke detectors: Many are powered by the 12V DC power from your RV; some use batteries. Replace batteries annually. It is recommended to replace detectors after 7 years. Evacuation: Most RVs have a fire-escape window in the bedroom. Practice opening the emergency window and if it is a motorhome, remember the hitch if you have to bail out in the middle of the night. It may seem that RV fires are more frequent, but I believe that it has only gone up because there are more RVs on the road. That and everyone has a cell phone with video. Before you hit the road, discuss fire safety and take the same common sense approach that you use in your regular home. mycaliforniadreamin.wordpress.com is a participant in the Amazon Services LLC Associates Program, an affiliate advertising program designed to provide a means for sites to earn advertising fees by advertising and linking to amazon.com. I may receive a commission for items purchased through the links. mycaliforniadreamin.wordpress.com is a participant in the Amazon Services LLC Associates Program, an affiliate advertising program designed to provide a means for sites to earn advertising fees by advertising and linking to amazon.com. I often will link products that I have purchased and recommend.